Since the dawn of time, mankind has wanted to fly. Now a growing group of enthusiasts are building their own aircraft that soar–and their pilots never leave the ground. These pilots are building drones (also known as unmanned aerial vehicles), which first gained fame through their use in the military. Now readily available technology lets devotees take to the sky for photography, mapping, and even delivering love notes a la robotic carrier pigeons. The community’s foundвer is Chris Anderson, former editor of Wired Magazine and New York Times bestselling author of, The Long Tail and Free. Communities are about connections and relationships between members. And they’re flourishing in the DIY Drones community, which created the world’s first “universal autopilot.” That kinds of accomplishment required a space for great minds to collaborate..
“Our community has more than 100 developers who’ve created the largest Arduino program ever written. The beauty of NING is that because it’s social, it’s peer to peer. Members can private message each other to create connections and work together, they don’t have to go through me,” says Anderson. “Every member has a day job or another persona, but to scratch their drone itch they come here. Many come from Google or Microsoft by day, then work on open source drone code projects at night. We couldn’t have found them otherwise. And you couldn’t afford them, either. But because we did everything on NING in a community site – they found us, and volunteered. Anderson didn’t know this community would also change his life. “My original hope for the community was that smart people would come together and create something amazing–and to my amazement that’s just what happened!,” he says. Anderson’s NING community introduced him to Jordi Muñoz, who became the co-founder and CEO of their new company, 3DRobotics. “Every day he used Google to see what other people were doing, but he couldn’t find anything. One day he Googled again and I had just started DIY Drones that same day. He found us. We probably had 30 members on the first day, and he posted a video of him flying a helicopter with a Wii controller,” explains Anderson. 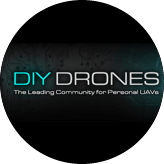 The company has raised $5 million dollars in venture capital, and puts more drones in the air every year than the entire US military fleet. “By every measure I’ve achieved what I set out to do which was to make this the premiere location for information, people and projects around an emerging industry to fill a hole in the marketplace.